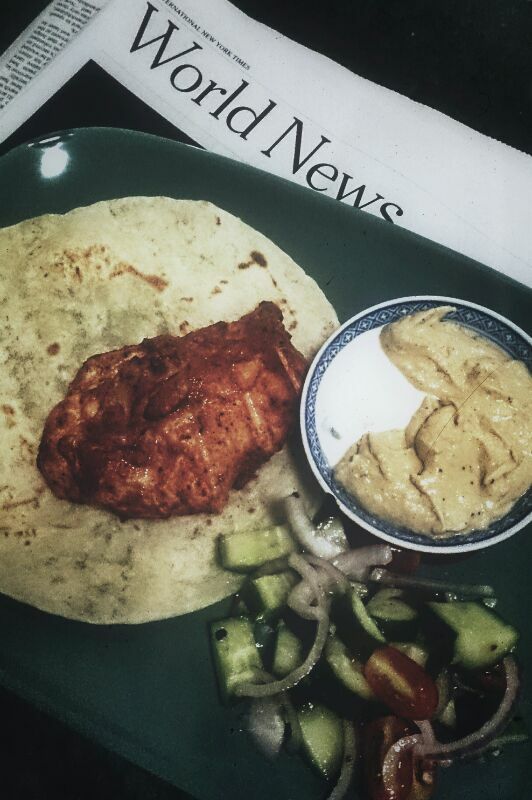 You know it’s a good end of the week when you’re craving a gyro and you successfully put together your own rendition that consists of – store bought whole wheat wrap, chicken tikka, garam masala hummus, tzatziki and greek salad. Boo-yeah – and I’m ready to face Monday! *Photography courtesy of Hoi Yee (paper_shins).